Financing at Volvo of Vancouver is always a simple and enjoyable process. You will never feel pressured or feel that you do not understand the financing or leasing options available to you. At Volvo of Vancouver, you are our priority and we work with every client as if he or she was part of our family. The key to our success at Volvo of Vancouver is that we work as a team with our customers in a respectful and honest environment where the only goal is to help you find the financing or leasing plan that is right for you. Buying a new vehicle is such an important step, you need to work with financial services specialists you know you can trust. At Volvo of Vancouver, there’s no fine print. We offer our clients attractive financing and leasing plans for all of our new Volvo vehicles as well as affordable financing on all our pre-owned Volvo vehicles. You'll see, it's easy to save at Volvo of Vancouver. Our certified pre-owned vehicles come with low-interest financing that isn’t so different from the financing offers you will find on new vehicles. Our team of financing experts first make sure to understand your situation, your budget, your expectations, and your lifestyle. This is how we are able to offer you a financing solution tailored to you. Afterwards, we take the time to explain the financing and leasing plans that are available so that you can make an informed decision. We can also help you decide how best to purchase your Volvo. 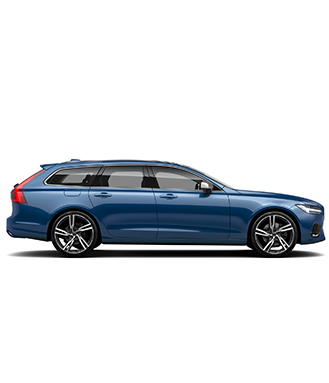 Not sure if you should pay cash, use a personal credit line or go with Volvo financing? We will help you figure it all out at Volvo of Vancouver. To find out more about our financing and leasing solutions, visit us today at Volvo of Vancouver. You can also start your financing application online.